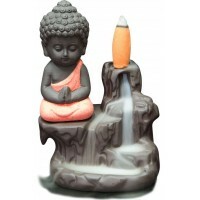 Set the mood for meditation with this amazing Buddha backflow incense burner. Set a cone of backflow incense on the top and watch the smoke curl down around this gorgeous Buddha on a moutain to gather around the base. 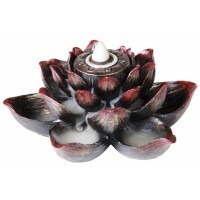 Can also use regular cone incense to allow the smoke to curl up to the heavens. 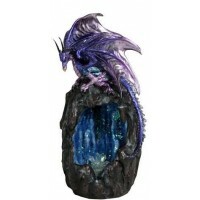 A great piece for meditation or anytime you want to set a magical mood. 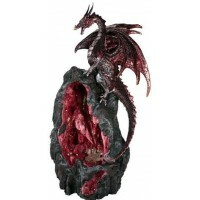 Hand painted cold cast resin incense burner is 7 1/2 inches high. Item Number: PT-10693 | Approximate Size (Inches): 4.50 wide x 3.50 deep x 7.50 high | Approximate Shipping Weight: 3.00 lbs. 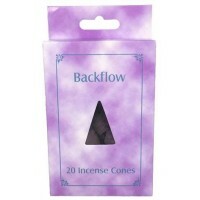 Especially formulated for backflow incense burners, this box of 20 back flo..